In a medium bowl, beat the eggs and milk together. In a medium skillet on medium heat, add in 1/2 tbsp of butter. Once the butter has melted, slowly pour in the eggs. Gently stir the eggs slowly with a spatula until the eggs are just a bit runny and slightly undercooked. Sprinkle in a dash of salt or pepper, if desired. Remove the eggs from the skillet. In a medium skillet (it can be the same skillet as long as you clean off any bits of eggs that may be remaining) on medium heat, add in 1/2 tbsp of butter. Once the butter has melted, add in a tortilla and sprinkle 1/8 cup of cheese over it. Add on 1/4th of the scrambled eggs, reserving the remaining scrambled eggs for remaining quesadillas. 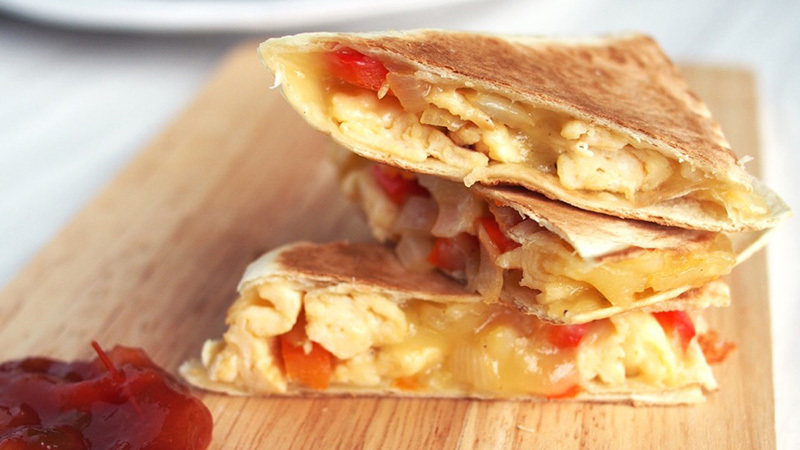 It is best to add the scrambled eggs on one half of the tortilla. Sprinkle on 1/8 cup of cheese over the scrambled eggs. 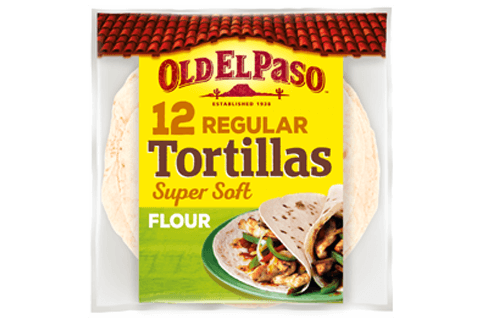 Once the cheese starts to melt, and the underside of the tortilla starts browning, fold the quesadilla in half, sandwiching the filling. Transfer the quesadilla to a cutting board and cut into wedges. Serve with chopped tomatoes and Old El Paso Thick & Chunky Salsa.